Have you forgotten what the heat of the sun feels like on your face? I know I have. There are many winter blessings I can appreciate; snow, epic starry nights, and Christmas to name a few. It can however, sometimes be tempting to hibernate, as much as possible. Indeed many mammals take this approach. For those who don’t want to live like a squirrel, travel doesn’t have to be exclusively a summer activity. As much as it might feel like it, the world does not stop during the winter. Hibernation sounds like the second best winter tactic. The first is to pack a bag, and go and chase the sun. Check out some of these affordable winter destinations, for a nice cheap getaway that doesn’t have to leave you financially crippled come spring. Cheap flights are available from Europe during the winter months making for a less expensive island alternative to the Caribbean. The temperatures on the islands are fair all year round, and winter sun is almost a guarantee, as well as temperatures in the low 20’s. It might not be scorching hot, but compared with the depths of winter, it provides an ideal climate. The culture is typically Spanish, making for good food, and cheap accommodation, as well as natural interactions with locals. The island has the advantage of being located close to Africa, although the Atlantic ocean might prove too choppy for a swim in the middle of the winter months. There is plenty to do, and a total of eight islands to choose from, each with their own charm. 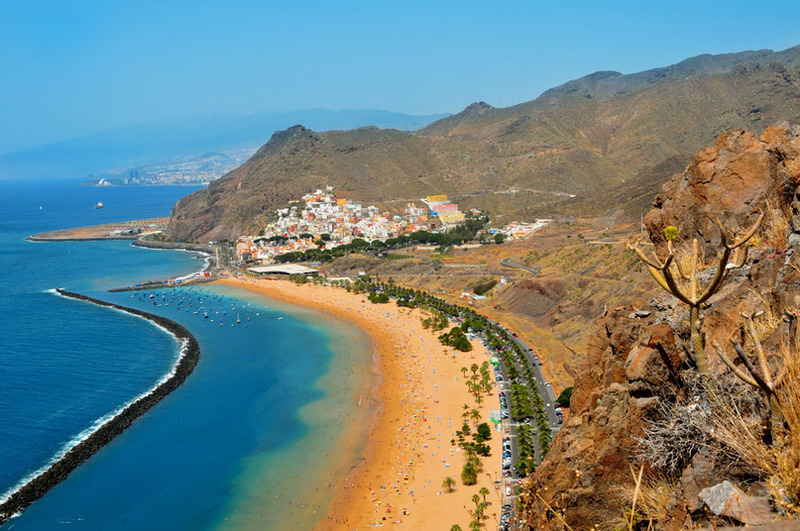 Try Lanzarote for some much needed beach time, and explore the volcanic landscape. The riveria teases the traveller with temperatures similar to the Caribbean sea, whilst offering much cheaper costs of living, including accommodation, and daily costs such as food. This makes the Riveria Maya an ideal spot for splashing out a bit, without bankrupting yourself, or alternatively travelling on a light budget. It is not just the sunshine and warm waters that might be attractive. The area is full of Mayan ruins, and the culture and history of the renowned ancient civilisation are just waiting to be explored. The area also features sinkholes, known as cenotes which were believed by the Mayans to be sacred, as well as being within reach of the Messo-American Barrier Reef, a haven for snorkelling and scuba diving. Okay, so long distance flights are rarely cheap, and it’s going to cost you to get over to this side of the world. But once you are there the cost of living is extremely cheap, and the sunshine is extremely warm. The cost of living aside, you can do pretty much anything in this country for miles cheaper than it would be back home; ride an elephant, trek through the jungle, or eat the finest foods. This tropical destination is a famed traveller hotspot; and for good reason. Whether it’s partying, relaxation on a beach, or Buddhist and Thai culture (the two are intimately connected), Thailand has a lot to offer the traveller, and is among the cheapest places to travel. Cambodia, and Vietnam both offer solid alternatives, and can be less touristic than Thailand, whilst offering the same climate, and budget travel. See which one suites your flavour. What hotter place to spend the winter months than the Sahara Desert! This might sound like the hottest of locations for migration so far; Morocco is however fairly mild in winter, with temperatures in Marrakesh averaging 13 degrees. For some 13 degrees is comfortable enough, and the main advantage of heading to Morocco at this time of year, is to beat the crowds, and enjoy the culture, whilst avoiding the sweltering summer-time temperatures. Perhaps I was hasty to presume that everyone is looking to escape the frost. Winter is also a great time for a different type of travel; it’s time to hit the slopes! Jasna, in Slovakia is a very reasonably priced area to hit some high quality, high velocity Alpine slopes. You might still catch some sun here on a clear day, but it is severely unlikely to be warm. No, this is just for the ski enthusiast, who can enjoy great prices on food and accommodation, as well as equipment hire, and ski passes. Every cloud has a silver lining, and in winter the silver lining has to be Christmas. The annual festival we all love to hate is celebrated in style in Finland; the home of Santa Claus. Here Christmas festivities include a free grotto where The Man Himself can be found. There is plenty of snow and reindeer around to add to the festive spirit, and this could be the ideal trip if you happen to be travelling with the children. Okay, I get it, you want sun!